We finish the chapter together as we continue “Watership Down” by Richard Adams. El-ahrairah proves what a clever rabbit he is. 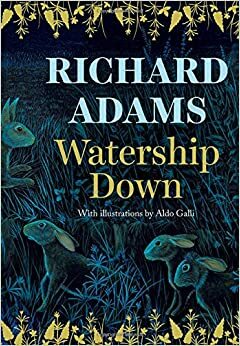 Read along with the gringa as we continue “Watership Down” by Richard Adams. 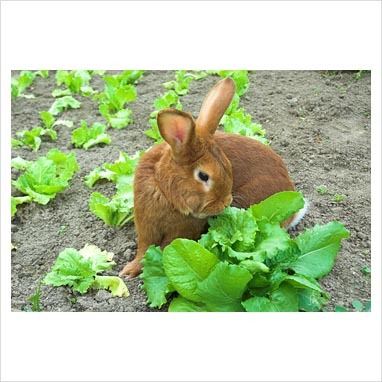 El-ahrairah negotiates with Prince Rainbow a way for all rabbits to be free again. Although the gringa doesn’t often write about dogs, there is, indeed, a very soft space in my heart for them. In fact, I love them with all of my heart. I think dogs are just grand. In fact, in my own life I consider a dog named Sparky to be a hero. Alone on a rural farm with my oldest son who was about 5 years old at the time, Sparky took a bullet while keeping out an intruder. The gringa’s dear readers can only imagine how that dog lived a life fit for a king the rest of his days, even if he was left with one paw that resembled a flipper as a result of his wounds. That being said, and after the gringa regained her composure and was able to type once again, I am moved to share the story of Boot. He was the only retriever in a company of twenty military service dogs comprised of German Shepherds and Dobermans. Serving aboard an attack boat, he landed on the shores of enemy territory in Japan during World War II. Trained at Camp Pendleton in California, Boot was actually the pet of a Sergeant and soon earned a reputation as playful, friendly and a bit of a character. When the ship was asea, the War Dogs were housed in kennels. Boot, however, got special privileges as a pet. He enjoyed more freedom as an on-board mascot and liked to cruise the decks, sneaking up behind unsuspecting sailors and grabbing their arms from off the railings. When forces landed at Iwo Jima, Boot was part of the invasion force and his later unexpected performance in battle made headlines in local papers. The story goes that a Lieutenant arrived at camp and requested a War Dog to flush out some enemies forces who were hiding out in nearby caves. The Sergeant explained that all the War Dogs were currently out on duty and he would have to wait until their return. Noticing Boot, the Lieutenant asked why he could not be deployed. The Sergeant explained that, despite the fact that he had been fully trained as a War Dog, he was actually a pet, the troop’s mascot, but, since he knew all the battle commands, the Lieutenant could take him and give it a shot. The Lieutenant did just that and Boot was successful at clearing out three caves that were being held by enemy forces. Because of Boot’s heroic actions, U.S. Marines were able to advance their battle line. Once Boot returned home, his fame followed him. He and his Sergeant made a guest appearance on the Ed Sullivan Show. The nation’s very first Marine War Dog Training School was at Quantico Bay. It opened in January, 1943 under the command of Captain Samuel T. Brick. Fourteen Doberman Pinschers and a single Boxer were the first recruits. The Boxer, named Fritz, was the first dog sworn in as part of the Marine Corp. By the time Boot joined the Marine Corp, the United States had several War Dog training camps, including the one he attended at California’s Camp Pendleton. When training began, War Dog recruits were ranked as Privates. Within three months successful recruits became Private First Class. Corporal rank was achieved at one year, Sergeant at two years and Platoon Sergeant at three years. Four year War Dog veterans became Gunner Sergeants and one year later they promoted to Master Gunner Sergeant. It was not uncommon for a War Dog to have a higher rank than their handler who might be fresh out of boot camp. As the gringa envisions Boot fearlessly chasing the enemies in the close confines of the caves, she is taken back in her memory to the day Sparky took a bullet. He started out as a stray taken in as a pup. The gringa can’t count the number of times he tore up the fence and caused any number of problems. At one time the man of the house became so frustrated that he ordered the gringa to “take that dog to the pound”. The gringa obediently loaded Sparky up into the car the next day, drove to the pound, read the documents that required a signature releasing the dog for euthanasia in the event an adoption never happened, then burst into tears and loaded that darn dog back into the car and returned home. When the man of the house returned and growled, “I thought I told you to take that dog to the pound.” The gringa calmly replied, “I did. You didn’t say anything about leaving him there.” And that was that. Although one would have never known from all the trouble he caused as a one year old spunky pup, that darn dog grew up to become the most amazing dog the gringa has ever known. We lived on a farm and had loads of chickens. That came about because the gringa had the bright idea of becoming a chicken farmer. What wasn’t expected was that when it came time to sell hens to become roasters on family tables or roosters that might end up in a soup pot or illicit cockfighting ring, the gringa could not bear to destine the little creatures to such a fate. So, the chicken farm became an egg farm and rooster bachelor haven. It also became the hub for local chicken hawks looking to score an easy meal. Although Sparky had no training whatsoever, it did not take him long to realize that the chickens were part of the family and he became their self-appointed protector. He would go bananas barking and lunging upward as far as he could, threatening chicken hawks that seemed to be miles away in the sky. If the chickens got too spread out as they foraged, he would herd them closer to the barn where they could skedaddle to safety if a chicken hawk showed up. Sparky wasn’t our only dog on the farm. Living out in the country meant that it was not uncommon for people to dump an unwanted dog, expecting it to somehow revert to its wild nature and survive alone. We also had Dot, a dumped deaf Dalmatian, Trixie, a golden chow the man of the house found as a homeless golden puffball that the gringa relentlessly shaved down to the skin all year round, and Scooby, a fat black retriever looking thing who revealed an amazing rapid weight loss overnight which caused us to realize that she was only fat because she was pregnant. So then we had 6 more dogs on our hands, which we eventually found homes for. Out of all of these dogs who had a grand farm dog life, Sparky was the only one who exhibited remarkable intelligence. The others were all fine dogs in their own respects but there is no doubt that Sparky alone stood out as a hero. For instance, there was the day a neighbor moved in about 5 acres over. She was a single woman who, the gringa believes, must have had a very tragic story. She was not just reclusive but obsessed with security. She installed an electrified security fence that was 8-10’ tall around her house. If that weren’t enough she put in a small shooting range and was outside all the time practicing her marksmanship with her pistols. Then she got some dogs. And not just any dogs. You see, we lived on the flatland prairie north of Dallas at that time. A person could step outside and practically see for miles. And sound carried even further. It didn’t take too many trips to the barn before the gringa witnessed the new neighbor outside her secure perimeter with four full-grown German Shepherds and a professional handler in a protective suit training the dogs to attack. I tell ya, the gringa went from thinking she had a recovering victim next door to considering a full-fledged, dangerous lunatic was near at hand. After weeks of training, the handler no longer came. The neighbor, however, continued to take the dogs outside the security fence and work with them on the open prairie. Her confidence in controlling them was misplaced. One day, while I was outside working and our oldest son was doing his thing on the swingset, the gringa could hear the whistles and commands that indicated the nut next door was working with her dogs. Soon her tone of voice changed. The gringa heard crazy barking and turned to see her pack of attack dogs high-tailing it across the fields, making a bee-line for me and mine. I threw down my feed buckets, ran and scooped up my son, threw him through the back door of the house then hoped I had time to lock the gate on the pen to the barn where my donkeys were happily munching away on some fresh hay I had just laid out. I gave the chickens up for dead and started calling the dogs to me. I locked up the pen and headed back for the house eyeing the distance that was quickly closing between me and the German Shepherds. I realized I had to make a decision. I might not even have time to make it into the house myself, there was no way to even attempt penning up my dogs. All of them were outside dogs, housed in the barn at night and during bad weather. These unmannered barn dogs were all going to have to go in the house with me. I didn’t care and they were more than happy to follow and see what the mystery was all about in this one structure they had never been allowed to explore. As I turned to close and lock the patio door, seeing the German Shepherds lunge through the gap between barbed wire strands of our fence I realized that Sparky was still out on the deck barking like a maniac at the intruders. I called and called but he ignored me and stood his ground. In the midst of the chaos and fear it took some time before I realized that his refusal to obey me was because, in the confusion, Trixie, still quite young, had run under the deck instead of into the house. I could see her trembling in the gaps between the wooden steps. He was protecting her. Crap. Now what does the gringa do? The gringa instructs her 5-year-old son to man the back door. The gringa runs to the front door on the other side of the house, slips out and under the porch, belly crawls under the house, grabs Trixie, crawls back to the front, puppy in tow, still listening to the ruckus Sparky is making, hoping he survives but grateful for the distraction so I can safely rescue Trixie. By now I can hear the shouts from my neighbor who has obviously been making her way across the pasture to get her crazed dog pack. I get back in the house, dump Trixie and load my shotgun with birdshot. I get my son out of the way who has been cheering Sparky but then suddenly becomes very serious when he sees his dirty, cobweb covered mother with an enormous gun in her hand (and most likely a very mean, murderous gleam in her eye). I walk out beside Sparky and yell at the dogs to get. They go bananas, even crazier, and the gringa is pretty sure that she has just poured gasoline onto a fire. I don’t dare touch Sparky and try to drag him in the house. He is so pissed he might just bite me. The German Shepherds are not listening to their master as she uses her stupid dog whistle from the other side of the fence. Finally, the gringa makes her most critical decision. I maneuver over to the side of the deck slowly and land a blast of birdshot on the behind of the dog in the most unfortunate position of the outside of the pack. I never in my life thought a dog could jump straight up like a cat. However, when they are shot with birdshot in the backside, they do. For a split second everything was quiet. We were all in shock. It was like the dogs were saying, “Did she just shoot one of us?” And Sparky was thinking, “What should I do next?” And then it was all chaos again. The neighbor lady was about to stroke out in her madness that I had just shot one of her dogs, not realizing it was only a flesh wound. One of her dogs was wailing in pain, the others were circling the deck, eyeing the steps as they prepared to rip me apart, and the gringa took advantage of Sparky’s momentary lapse back into reason to grab his collar and back up to the door. Thankfully my son was still performing his door duty because it promptly opened when my own backside struck it. And who knows, Sparky’s future injury may have very well been payback. The gringa will never know. All she does know is that it was afternoon naptime for her and a very grubby 6-year-old boy about six months after the gringa shot the neighbor’s dog. We had been sound asleep for about one hour when there came a strange, repeating pound on the front door accompanied by whines and yips. Dog sounds, yes, but not the usual dog sounds our little pack made. I went to the front door and found Scooby and Dot jumping up on the door and the side of the house in distress. Scooby, like a retriever, took my hand in her mouth and tugged. Dot just made circles and strange yipping sounds. I followed, puzzled. They led me to the front gate of our driveway that was about the length of a football field. It couldn’t be seen from the house because of a cluster of trees that surrounded a small watering hole directly in front of the house. When I got to the gate there sat Sparky, shivering in pain and shock as Trixie comforted him by licking his wounded paw that would become a flipper after removing all the pieces of shattered bone in order to avoid amputating the whole darn leg. I rushed Sparky to the vet not knowing exactly what had happened. I wouldn’t learn the truth until I talked to our other neighbor. He was a horse trainer and almost always outside working on his property which was across the road from me. He only noticed what happened after he heard the shot. He saw a person, too far away for any other details, running down the road and eventually out of sight. By the time he had put up his horses and come over to check on us we were already at the vet’s office. He said he saw the enormous cloud of dust I left behind as I drove like a bat out of you know where. When the vet found out that Sparky had been injured in the line of duty, he was very impressed. He knew that saving Sparky was going to be very expensive and that the gringa was not made of money. He offered to save Sparky for free if I would let him keep my hero dog. The gringa said no thank you, that a certain little boy would never forgive me for such a betrayal, and chose to max out a credit card instead. Despite my own notoriety with a shotgun, it was really Sparky’s fame that ended up stretching far and wide throughout the local high school. When he reached the end of his days at 17-years-old and the appointment was made with the veterinarian to ease his passing, for three days high school students that were classmates and friends with our children made their way over for one last visit with Sparky. You see, since our kids were school age, Sparky faithfully made the morning and afternoon pick-up and drop-off trips to the school. Often he was hanging out the window, mooching a scratch from any passerby. Everyone knew Sparky, the dog with a limping flipper who was a hero. And now the gringa is crying again. We move along in reading “Watership Down” by Richard Adams. Hazel and the others arrive at the warren which seems full of surprises. As we wrap up chapter 12 of “Watership Down” by Richard Adams, we find out if the rabbits decide to visit the other warren. 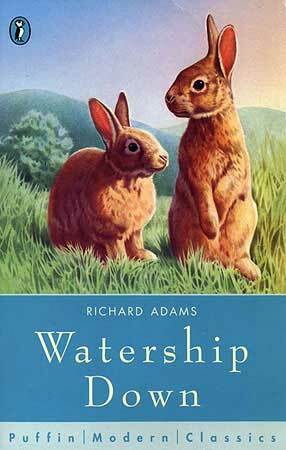 We continue together with “Watership Down” by Richard Adams. Hazel and Blackberry meet an intriguing character.